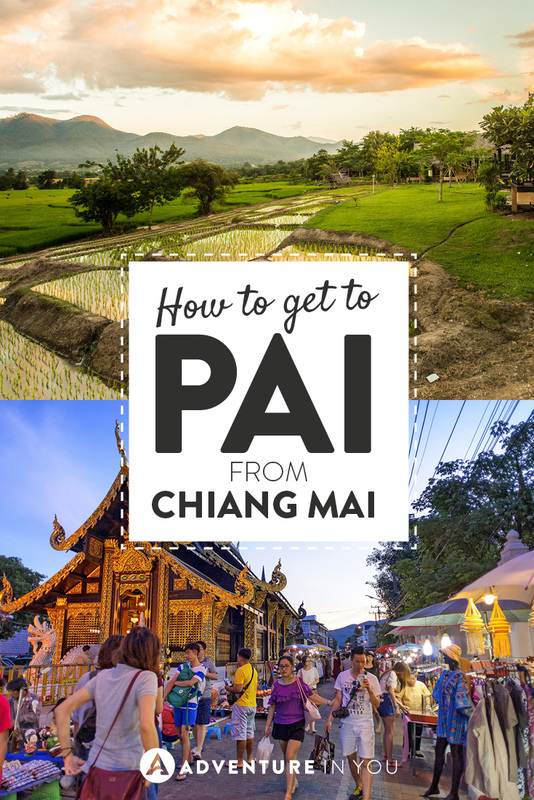 Wondering how to get to Pai from Chiang Mai? Read our full guide breaking down how exactly to get to this beautiful Northern oasis. 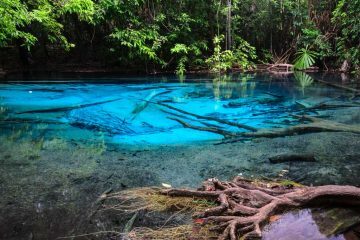 If you haven’t ventured to this part of Thailand, you are seriously missing out. 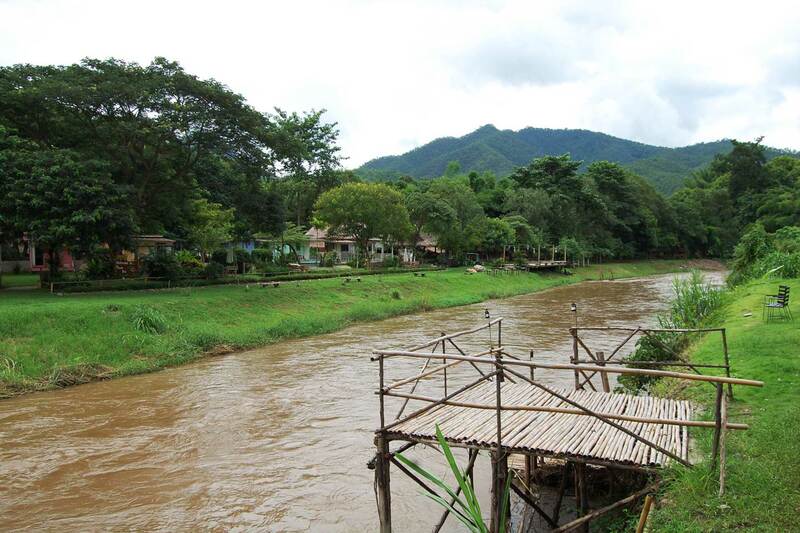 Nestled in the middle of rolling hills and waterfalls is a popular hippie village named Pai. Although Pai is slowly becoming very touristy, it doesn’t mean that it’s not charming. 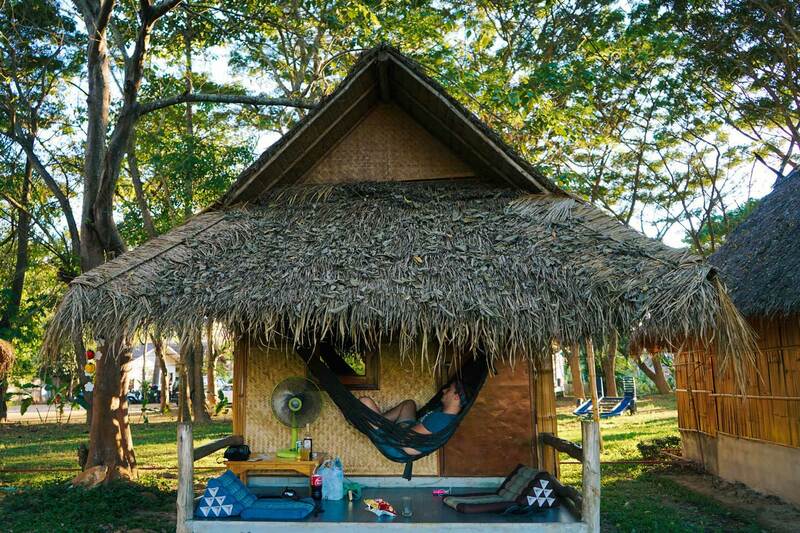 Between its lush greenery, quaint shops and bars, and of course, the ever so popular “hammock culture” that everyone is part of, Pai is definitely a place where you can unwind and relax. Given its popularity, traveling from one place to the other is pretty common. Here are few options on how to get to Pai from Chiang Mai. Editor’s Note: Heading to Pai? 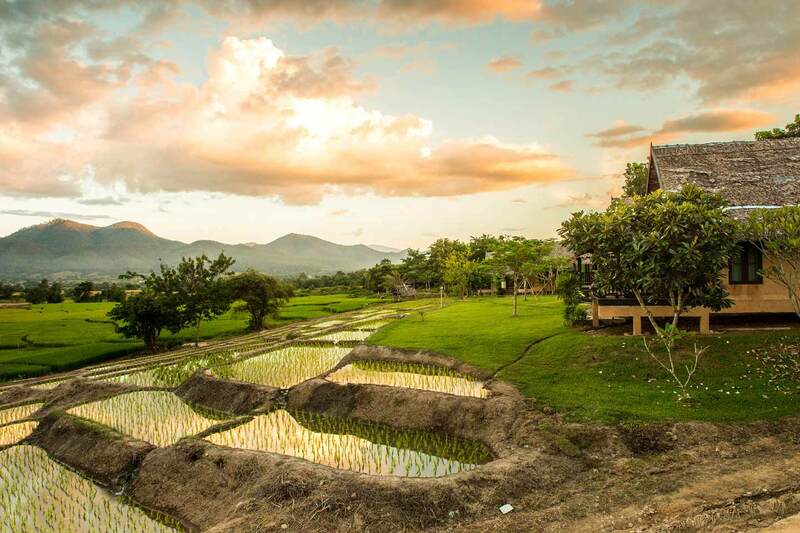 Check out our guide on where to stay in Pai for top recommendations! In short, to answer your question, the best way to get to Pai is via motorbike (if you have a proper license) or a minivan. Keep on reading this article as I will get into more detail on how exactly to book a ticket online which will save you tons of time. Alternatively, you can also check exact bus and minivan schedules using this search widget below. Vans or minibusses are the most common way for people to get from Chiang Mai to Pai. 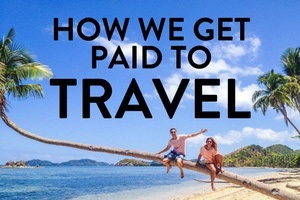 You can book a trip here from almost every travel agency but this can be time-consuming. We recommend that you book your tickets online instead. When booking tickets, it’s important to remember that there are two different kinds of minibusses. One that is air-conditioned and government run and the other is a tourist van. Both vans can get quite cramped and due to the zig-zag nature of the roads, a lot of people get car sick for this journey. However, a visit to Pai is worth it so even though the journey there can be arduous, we still highly recommend it! Insider Tip: If you easily get dizzy, do yourself a favor and take any type of motion sickness pill. The windy roads and cramped conditions can get the best of you. You can also opt to get one of those menthol inhalers in any 7-11 store! Cost: Price really depends on what type of bike you rent. Typically, you can rent a scooter for $7-8 a day. For bigger bikes, expect to pay around $24-30 a day. Now comes our favorite means of transportation. 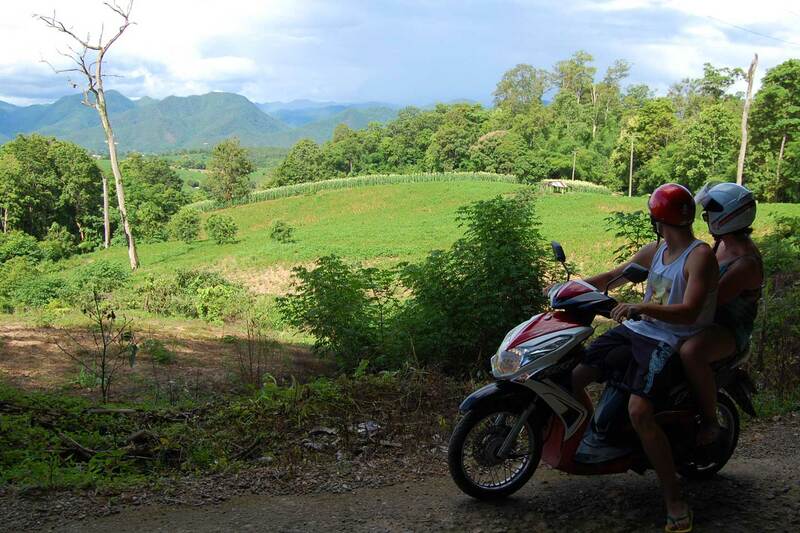 Renting a motorbike and traveling from Chiang Mai to Pai is one of the best ways to do it. The scenery, combined with the thrill of driving down this bendy road is an exhilarating feeling. My partner Tom has driven this route multiple times and enjoys the experience each time. It is best to go this route only if you have a bit of experience as the turns in Route 1095 can be quite unforgiving with all its 762 bends. I’m not even kidding you. The scenery during this route is pretty unbelievable and is definitely worth doing! Directions: From the old city of Chiang Mai take the north exit out and head north towards 107. Follow the signs for Mae Rim and then the signs for Pai. After about an hour you will see a sign for 1095 (Pai), turn left and follow road 1095 all the way. Insider Tip: For those looking to rent a bigger bike for this epic road trip, we recommend getting it from Tony’s Big Bikes in Chiang Mai. Their bikes are in top notch condition and the whole business is very professional run. The owners are lovers of riding and adventure as well so don’t be afraid to ask them for their insider’s tips on the best roads. Caution: Whenever you’re renting a motorbike, please make sure you have travel insurance. We’ve seen so many accidents while on the road. We personally recommend World Nomads due to their coverage of adventure activities. Always let trucks and buses pass you- don’t be a stuntman! Cover up- we’ve seen way too many road rashes and scrapes. 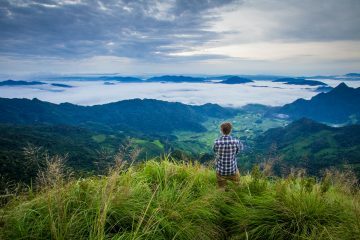 Looking for things to do in Pai? Check out our complete Pai travel guide featuring what to do, where to stay, and the best places to eat! Apart from the modes of transport mentioned above, you can also take the public bus which runs for around 5 hours, depending on the traffic. There are roughly about 5 trips every day which runs from the Arcade Bus station which is located in the North-eastern part of Chiang Mai. If you are traveling during peak season, it is best to book your buses ahead of time. Due to the size of the buses, they tend to go a lot slower but they often are crowded as taking a bus to Pai is one of the cheapest options to travel to the area. Bus tickets for Pai (and other destinations on the Mae Hong Son route) are sold from their own dedicated ticket counter to one side of the main bus station so ask around if you can’t find it. If you’re looking for a convenient way for your entire group to get to Pai, hiring a private taxi could also be an option. The perks of traveling via private car is that you can leave whatever time you want. There are even taxis that you can book from the airport that can take you straight to Pai. This is obviously the most comfortable option but can get a little bit pricey. However, if you are traveling with a group, it isn’t too bad. Although the road between the two is a mere 3-hour drive, some people opt to fly instead of traveling by land. We have never personally flown to get there but if this option is something that you are considering, Kan Airlines offers short flights from Chiang Mai to Pai. The local airport of Pai (PYY) is about 2km north of the town itself. The flight itself takes only 30 minutes and is the fastest way to get from Chiang Mai to Pai. You do have to note that the flights don’t run every day so it would be best to go directly to the airline to check their schedule. No matter how you choose to travel from Chiang Mai to Pai, after your arrival, the only thing left to do is grab a cold Singha, lay on a hammock, and enjoy the next couple of days. Happy Travels! Thanks for sharing! 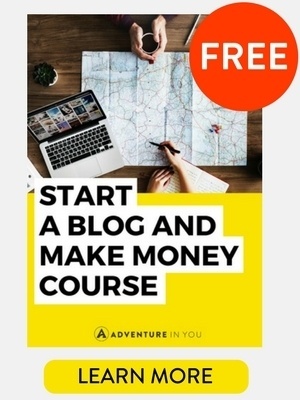 This is such a indept guide! 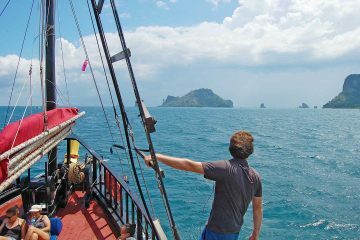 I totally love the picture from the Singaporean Backpacker, It is just so funny and depicts getting lost in Thailand! That’s a cool guide. Never been to that part of Thailand, so it’ll definitely come handy. The road route looks great – Any idea what it would be like to cycle along there? Should be fairly standard. Just watch out for big trucks and buses. Are you guys still in Thailand? Yes-the roads can get tricky! I’ve been to Thailand many times but always failed to go to the north. Trust me, I know I’m missing out! Going back in two weeks for a quickie but I doubt if have enough time to explore north! In the next few months thought because the ice heard such greaT things! You definitely need to make time for it. It’s beautiful up north! I like how clear and easy to read this article is. The motorbike sounds fantastic, but I’ve never been on one, so I’m not sure it would be a good idea. I think I’d have to take the bus! Thank you! Glad you found it easy to read. Great post! Loved how you detailed all the ways to get from Chiang Mai to Pai, complete with how long everything takes and the cost. Have bookmarked this post for my visit. Thanks for sharing the options to travel from Chang Mai to Pai – it sounds like a great place to visit and the windy road sounds like an experience in its own right! Thanks a for comparing various ways to get to Pai, it’s always nice to have options. I agree with you that motorbike is the most enjoyable way to travel in Thailand. I am a bit afraid of those curves though – it must be very bumpy and with the other cars also a bit dangerous:) An adrenaline boost! It can be dangerous which is why we only recommend it to skilled drivers! I haven’t been to Thailand at all so the whole itinerary is foreign to me but looks like a great deal of fun. 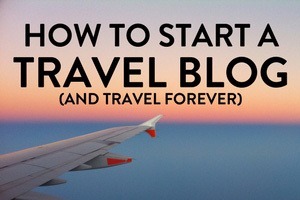 I’m so glad to have bloggers like you steer me in the right places for my unexplored travels. Love the photo of you in the swing! Thank you Melody! The whole place was very picture blogger friendly! Renting a motorbike sounds like so much fun – although I would be so nervous to do it on my own! I loved when you said don’t be a stuntman -so true! Looks like amazing place and worth the 4 hour ride. I’ve actually never heard of Pai, interesting to know it is becoming a touristy area! I took the minibus and I felt quite worse for wear after….So many bends! A friend of mine rode a motorbike from Chiang Mai to Pai. 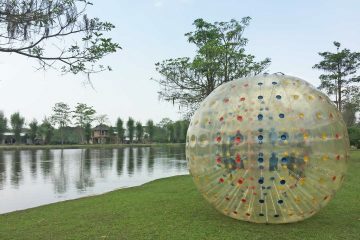 It sounded like a great adventure but I thnk I’m too much of a wuss! If I had to choose I’d pick the motorbike too. Must have been an amazing trip. Pai sounds to be a nice place. Wohoo! We should still be there by October. Good luck with the move and definitely try to ride a bike up to Pai. OK! I need to go back to Thailand! I wanted to visit Pai, and met many travelers just returning, but it just seemed too complicated for a couple-day trip. I think even a 2 day trip would be worth it! This is such a great, comprehensive guide – I love that little representation of all the curves on the street! I just got back from Pai, which I adored. What a beautiful little mountain/hippie spot to, as you say, unwind and relax. Amazing vibes there. I took the minibus up from Chang Mai to Pai, and a lovely Italian girl puked almost the entire way up, her vomit flying past our window for 3 hours. Luckily we’d taken our 3 baht anti-sickness pills from 7-11. Haha. There’s always one! Hahahaha! Wow. 3 hours of puking. I can only imagine. Well done on you for having the foresight of taking sickness pills! I absolutely love Pai and I’m happy to hear you enjoyed your time there. 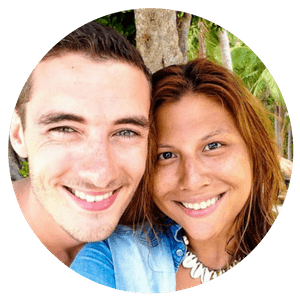 Wow – I visited Chiang Mai in March and I certainly didn’t know about Pai! The hammocks look so cozy – and I like how you say it’s getting touristy but still charming. Although I would probably have to take a bus, I don’t have a drivers’ license! You have to visit next time- it’s beautiful there! Awesome, thank you for sharing these, I wish I’ll be able to travel to Pai very soon! I love Pai!! Let me know when you get there- i’m sure you will have a blast!